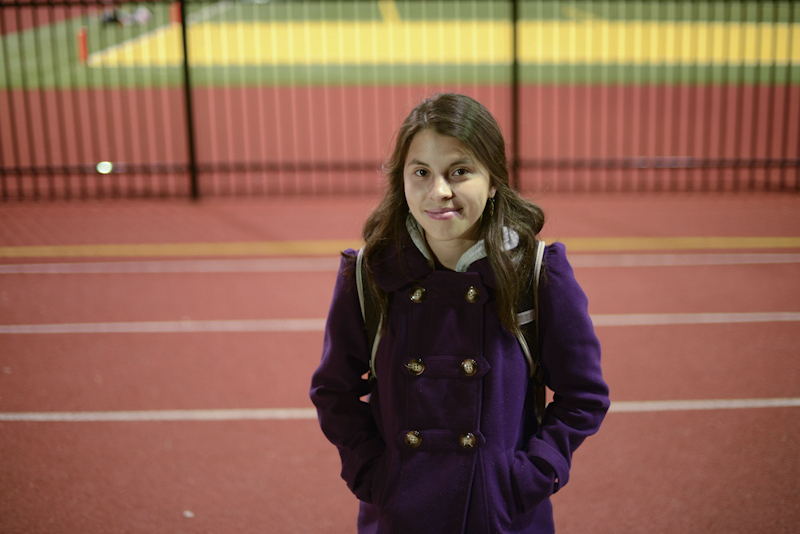 “I love running outside because I get to see how the seasons change,” said Daniela Vidal, while posing to a portrait on the Stankowski field running track, Wednesday evening, Oct 23, 2013. Vidal studies English pursues a double major in English literature and Journalism. She lived in Columbia until the age of 4, then she moved with her parents in Illinois. Now she is part of a running club in Columbia, Missouri.